You can get this as a refrigerator magnet. 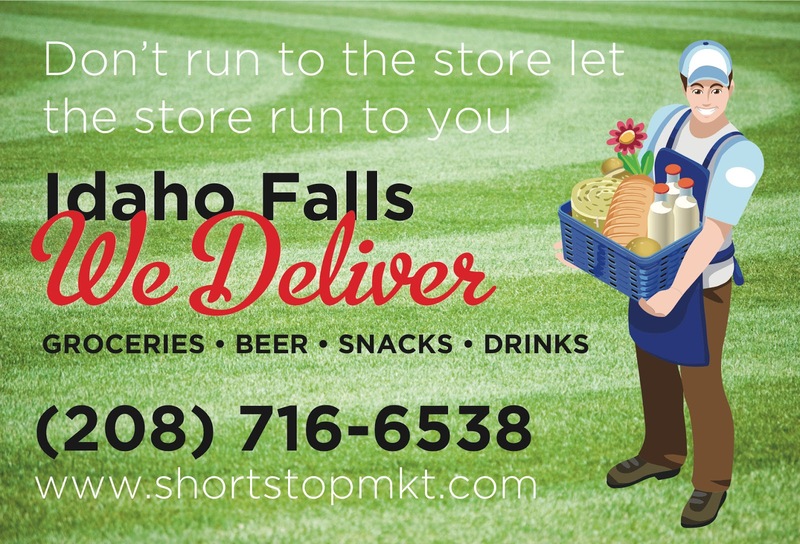 From its base of operations across West Elva Street from Melaleuca Field, Short Stop Market has been making home deliveries for more than a year. In a new development, however, owners Jason and Jennifer Anderson have decided to waive delivery fees to seniors. Ordinarily, if you’ve got a hankering for Cheetos, Ho-Ho’s or a six-pack of Rolling Rock, there is no charge only when an order is more than $45. For an an order of between $10 to $14.99, the delivery charge is $4. This is still pretty good considering what it would cost you in time and gas to get off the sofa and go to the store, possibly missing a key play in a must-see game. The Andersons bought the Highland Park convenience store and laundromat two years ago. Anderson said he did his homework before the purchase, and that he knew what he was in for. “With a convenience store, you’ve got to put in 50, 60, 70 hours a week,” he said. “You gotta be here.” Nevertheless, the experience has exceeded his hopes for the business. 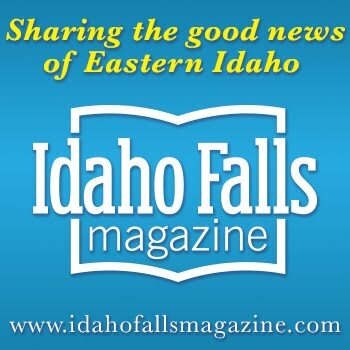 When she was with Eastern Idaho Community Action Partnership, Jennifer Anderson saw that no grocery was making deliveries, to seniors or anybody. Jason Anderson had gained some experience with the concept, having worked for Broulim’s in Rexburg when it was making deliveries to college students. 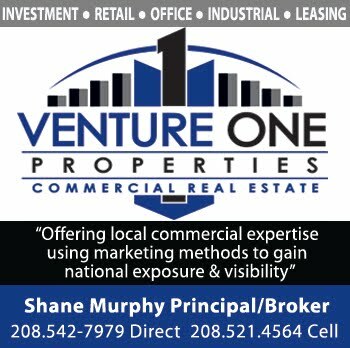 Although there is a lot of out-of-town business in the summer when people are coming to ball games, most of the year the store’s business is geographically limited. “We wanted to see if we could expand,” he said. 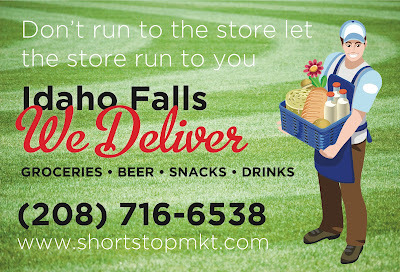 Although there is no way to order other than over the phone, a PDF version of the store’s catalogue is available for download on its Web site, shortstopmkt.com. Anderson isn’t sure whether they will ever get to having an app like Domino’s. “That would be great, but something like that is way too expensive,” he said. 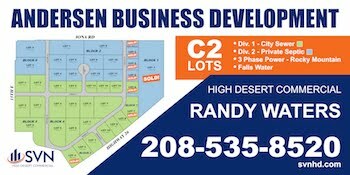 The store has expanded its delivery area to Ammon and Lewisville. 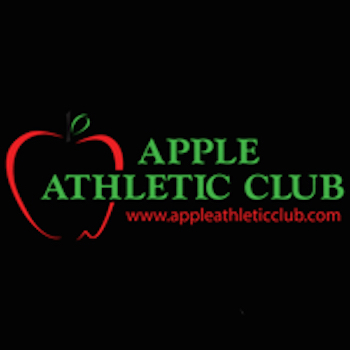 Delivery hours are noon to 10 p.m. Monday through Saturday. Anderson prides himself that he and his wife came up with the home delivery idea the same time 7-Eleven started its service. He is under no illusions that operators with bigger marketing budgets may move in. For more information, call 716-6538. Thanks Paul for the article. We are please to offer deliveries for free to seniors and we joke that a $1-4 dollar delivery charge is way cheaper than a DUI....We will have online ordering capability once we get past some logistical issues with our web site provider in the mean time you can download the catalog and give us a call. The delivery fee is waived for your first order. Thanks for the write up Paul. 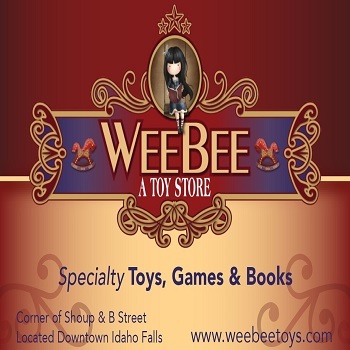 We do love what we do and I think the delivery service is a great additional service to our customers and everyone in Idaho Falls, Ammon and Louisville who don't want to or cant easily get out to a store to pick up some basics. We have over 3,000 items in the store including quite a few grocery items like bread, milk sugar, flour canned and frozen foods.